Our fully-qualified florists have over 20 years combined experience in wedding floristry and are on hand to provide advice, design assistance and personalised quotes. Email us to speak with our florists for specialised advice for your wedding day. One Stop Wedding Shop specialises in designing and creating your perfect wedding cake. We provide advice, on-the-spot written quotes and offer complimentary cake testing. Contact us or pop in store for a quote on your dream wedding cake. 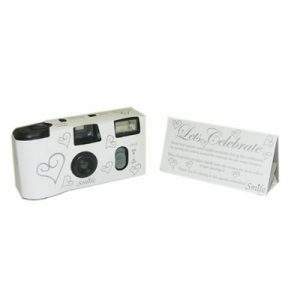 One Stop Wedding Shop carries a range of wedding bomboniere and gifts with ideas to suit most themes and budgets. Lolly buffets are our speciality. 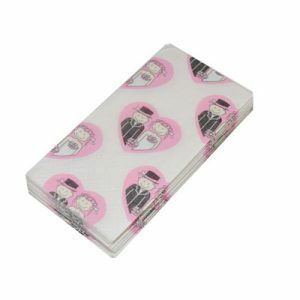 Our range of wedding party gifts and bomboniere are perfect for showing your appreciation. 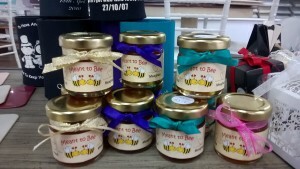 We pride ourselves on having a large range of handmade invitations and supplies. Allow us to create your invitations or you may choose to make them yourself. Email us or visit our store to browse through our invitations and beautiful papers. The team at One Stop Wedding Shop has over 10 years experience in decorating beautiful wedding receptions and outdoor ceremonies. Our experience and dedication enables us to bring your ideas to life. Email us or talk in store with our professional staff. One Stop Wedding Shop aims to add that special touch to your wedding day with a range of gorgeous accessories. Order over the phone 07-3889 7500, online, or pop in store to talk in store with our helpful team. 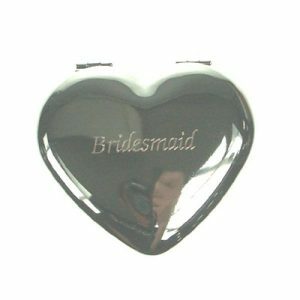 Bridesmaid mirror heart compact. Silver outside with bridesmaid words written on outside , come in a presentable organza bag. 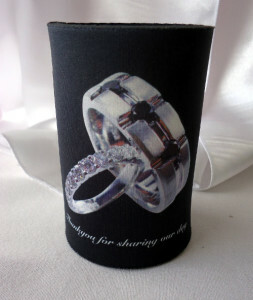 Can also be engraved on the back with a personal message. After reading the above review, by Reza Vogel I was a bit apprehensive to visit this shop, but after going, i can say it is the best wedding shop around!!! I visited on a saturday and it was very busy. I also had to wait about 10 minutes but the wait was well worth it. The service I received was excellent and the lady that served me was very attentive. She was with me for about 40 minutes and although the shop was buzzing with people, I felt like i was the only one in the shop. The prices were reasonable, they offered cake tasting, and the shop products were great with a large selection of items available. I booked all the items I need while I was there. I also mentioned to the lady about the above review as the service I received was nothing like in that , and she said that the shop does get very busy at times, and they do prefer bookings, if someone requires extra attention so they can accommodate them, she also said that if a customer is already complaining without even being served it is better they go elsewhere, as some people can never be made happy. Touche One stop Wedding Shop, I will be recommending you to everyone.!! Great job. Check out other great reviews on this shop at true local site. 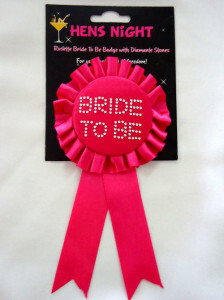 Hot pink satin badge with Bride To Be written in tiny diamantes. Safety pin back. Approximate dimensions 9cm wide x 17cm long.